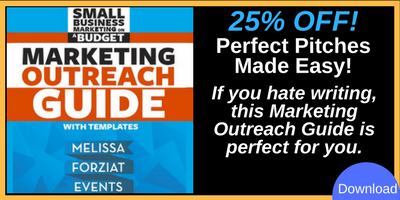 Melissa Forziat helps her clients increase revenues with practical and effective marketing tactics for small businesses – on a budget! She offers cost-effective tips & techniques that are realistic and affordable for small business owners. Melissa is our guest on Episode 155 of the How of Business podcast show. 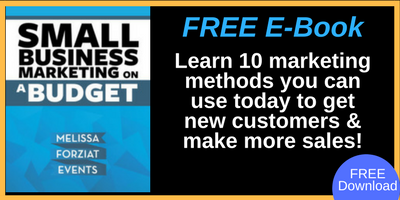 Learn 10 marketing methods you can use today to get new customers, make more sales, and finally ditch your safety net job! If you hate writing, this Marketing Outreach Guide has you covered. It includes initial marketing correspondence and follow-up templates for new leads, old customers, and everything in between. Understand the purpose of your message and how to convey it effectively for best results. The founder and principal of Melissa Forziat Events, Melissa is a small business marketing coach and event manager with international experience in event and brand management. 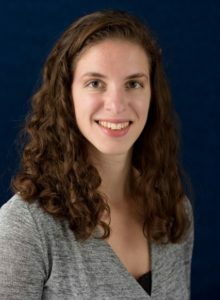 A goal-driven and creative planner, she enjoys strategically planning events and marketing campaigns that allow clients the satisfaction of connecting their great missions, products, and services with their audience. Melissa is the author of “Small Business Marketing on a Budget” and a series of marketing guides and programs for small business owners.